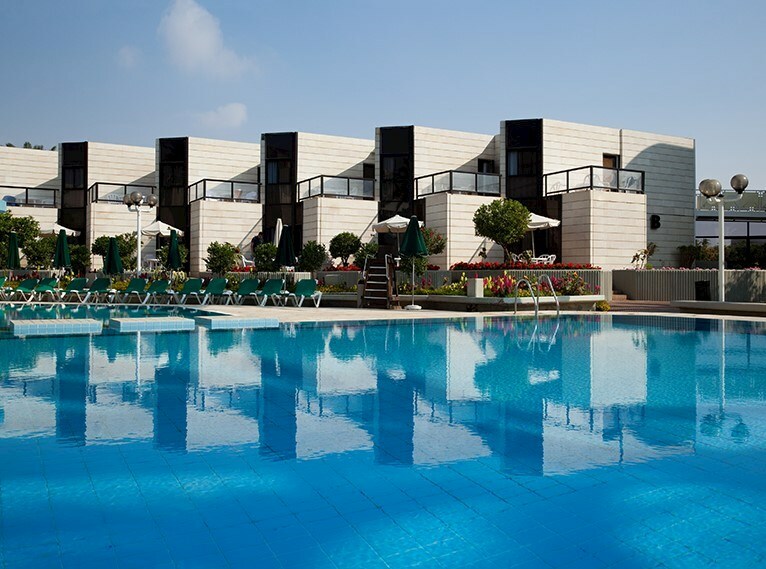 Isrotel Riviera Club Hotel is situated in the Northern Beach, only a two minute walk from the beach. The hotel underwent renovation in 2012 in both rooms and public areas which kept the hotel appealing, updated and a strong favorite for families, couples and groups of friends, basically for everyone who is looking for a fun vacation in a pleasant atmosphere and affordable prices. The pool is right in the center of the compound and it is surrounded by a lovely garden. 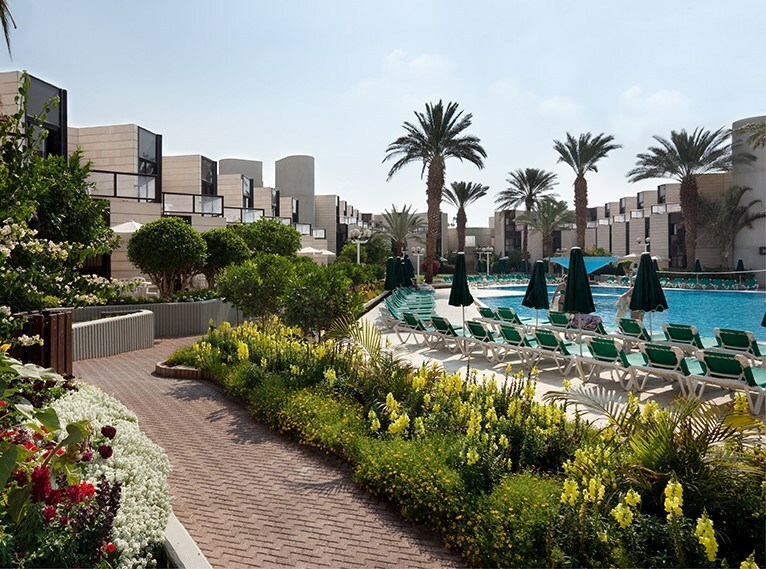 The four edges of the hotel were built around them, in the two and three floors structure you will find one hundred and seventy two rooms, suites and mini-apartments in different sizes. 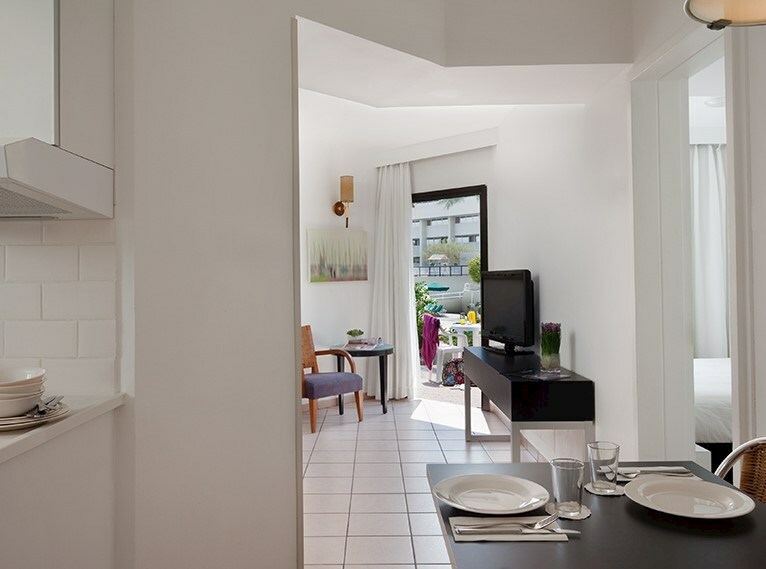 All rooms, suites and mini-apartments have an equipped kitchenette and a dining area that give our guests the opportunity to be both self sufficient and independent. Visitors can enjoy complete privacy and follow their own schedule. The garden rooms have private access to the pool area. 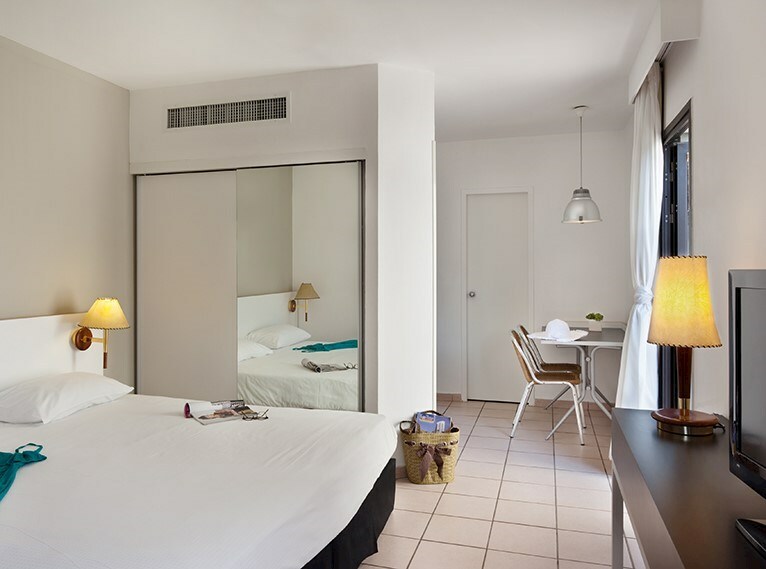 Guests of the studio rooms above enjoy spacious terraces, most of them overlooking the pool. 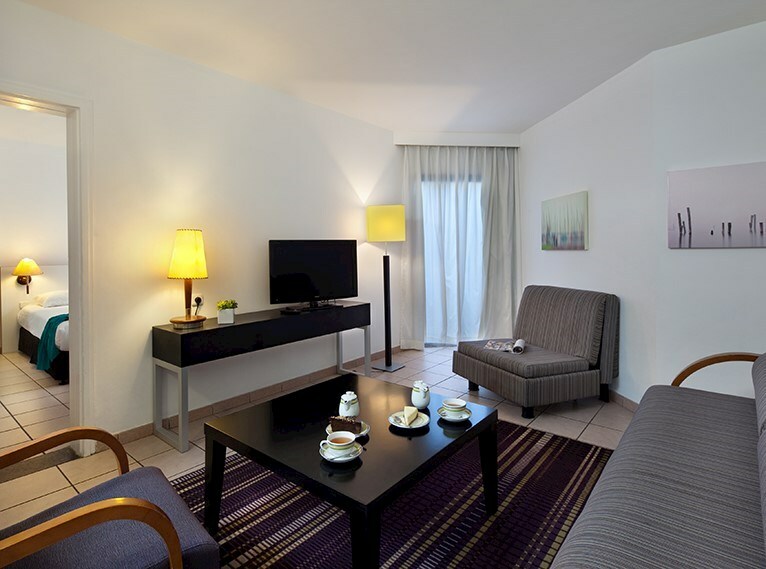 Isrotel Riviera Club has a well-equipped mini-market, here you can buy everything you need to cook at the kitchenette. Board Basis: Room Only. Studio w/ Balcony Isrotel Riviera ClubA Cozy Room w/ Balcony, Kitchenette, Dining Area The second floor studio room includes a closet, twin bed, reading lamps, sitting area, an equipped kitchenette, a dining area for two, a bathroom with a bathtub and a furnished terrace (patio lounge chairs). Size: 19 m2 (balcony of 10 m2).